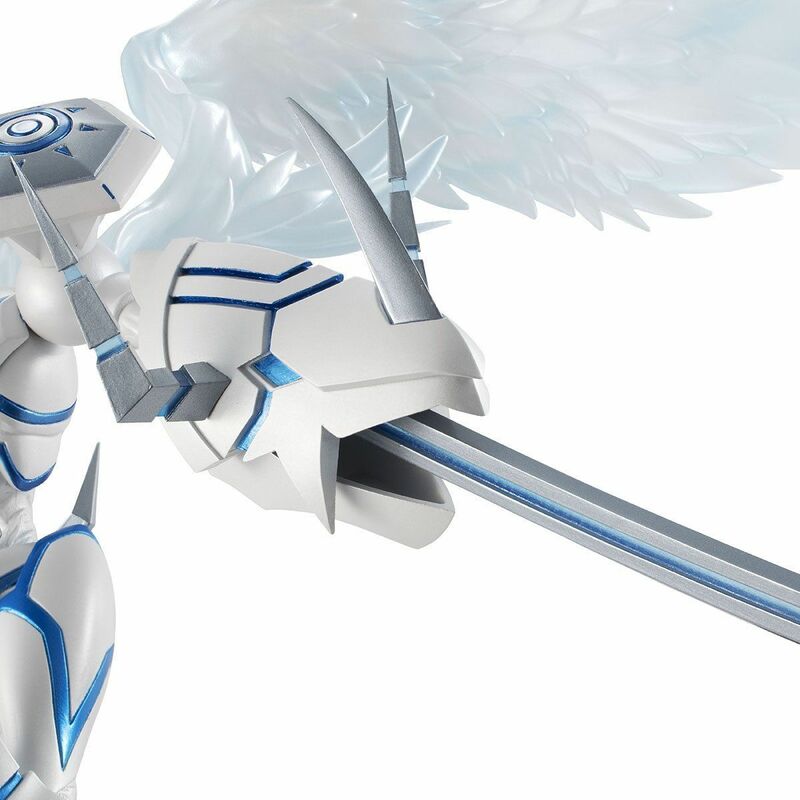 Ultimate Image Omegamon Merciful Mode Figure Images and Pre-Orders, Plus Bonus Item! 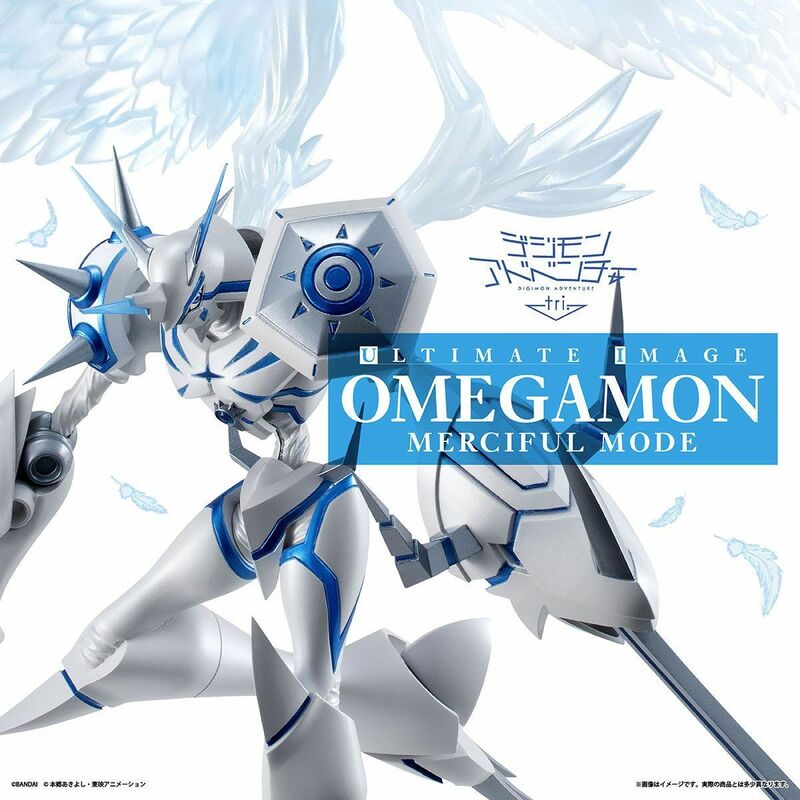 Thread: Ultimate Image Omegamon Merciful Mode Figure Images and Pre-Orders, Plus Bonus Item! Time to pre-order another figure! 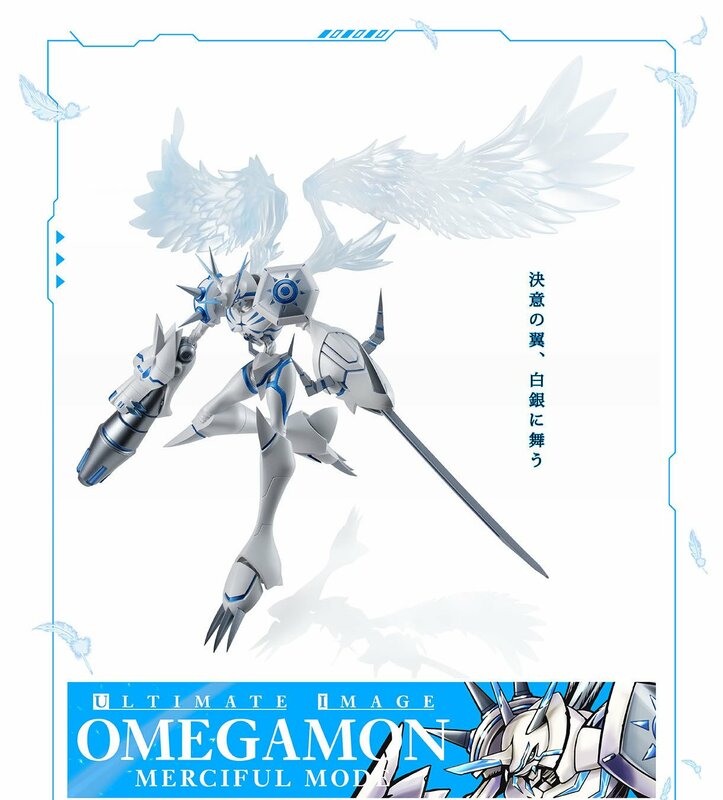 We first found out about the Ultimate Image Omegamon Merciful Mode from Digimon Adventure tri. awhile ago, but with no information about what line it would be in. We only got more details about a week or so ago, and a reveal that pre-orders would be now a couple days ago, so getting a bunch of info and images all at once, with pre-orders is a nice thing. Ultimate Image is the newest expansion of Capsule Mascot Collection, under the new branding of Art Figurations. 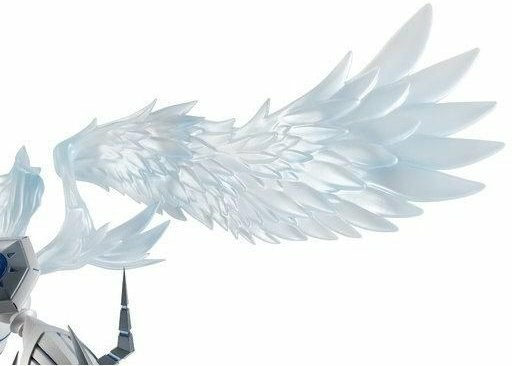 Wings of determination, dancing in the silver light. 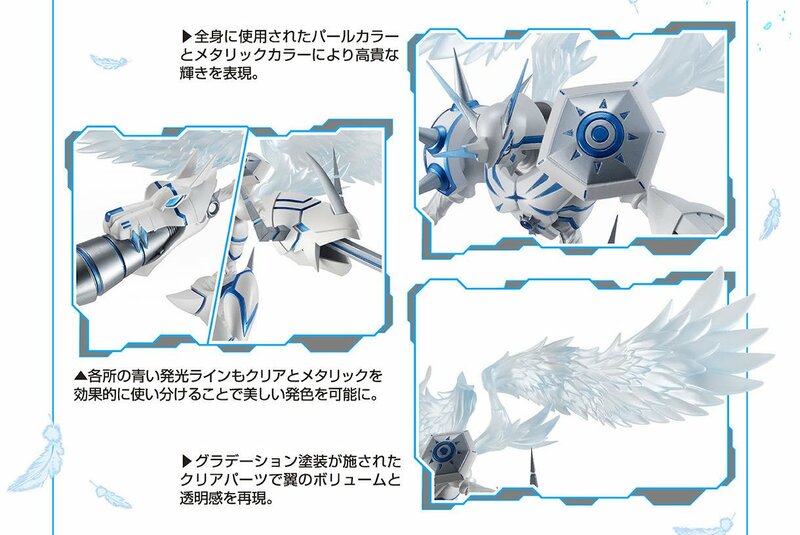 The first figure in the Ultimate Image line, being shown off properly for the first time today as pre-orders open is Omegamon Merciful Mode from Digimon Adventure tri. 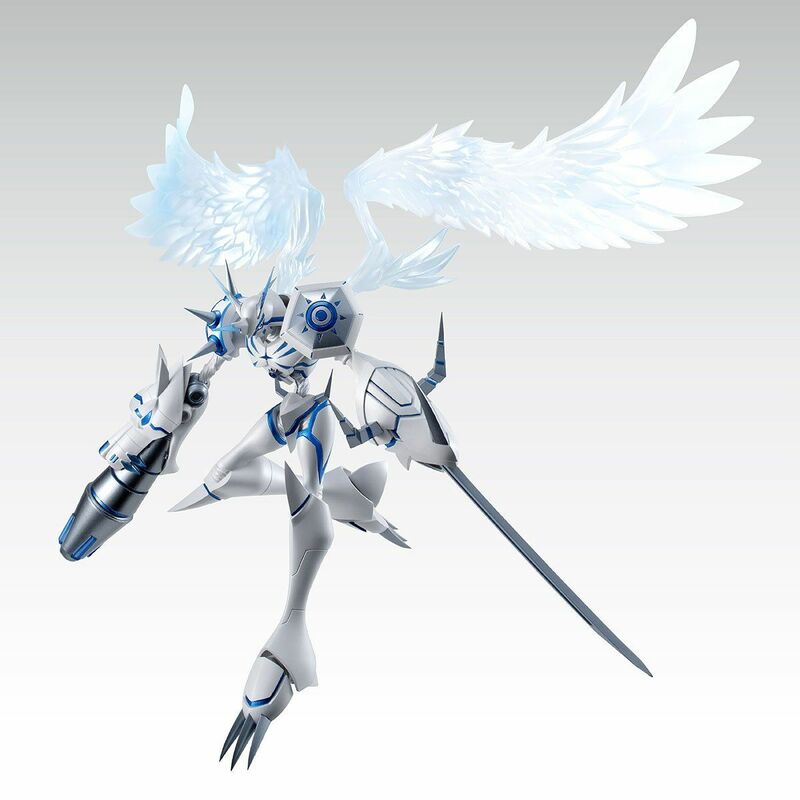 Based on the official Merciful Mode illustration by Kenji Watanabe, the figure also has illustration and model supervision by Watanabe. In addition, the model direction is by As'maria. Pearl coloring and metallic paint is used throughout the body to give it a sophisticated look that almost glows. The blue light emitting lines are also clear which causes light to make them glow, while the metallic surfaces enhance the coloring. 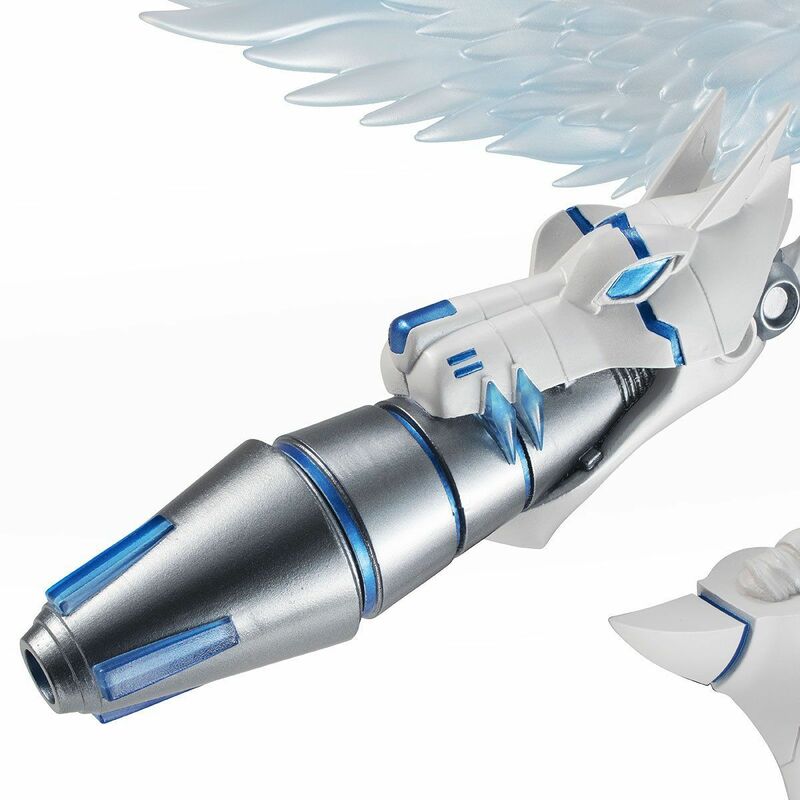 The essence and look of the wings are reproduced with clear parts and a careful paint gradient. 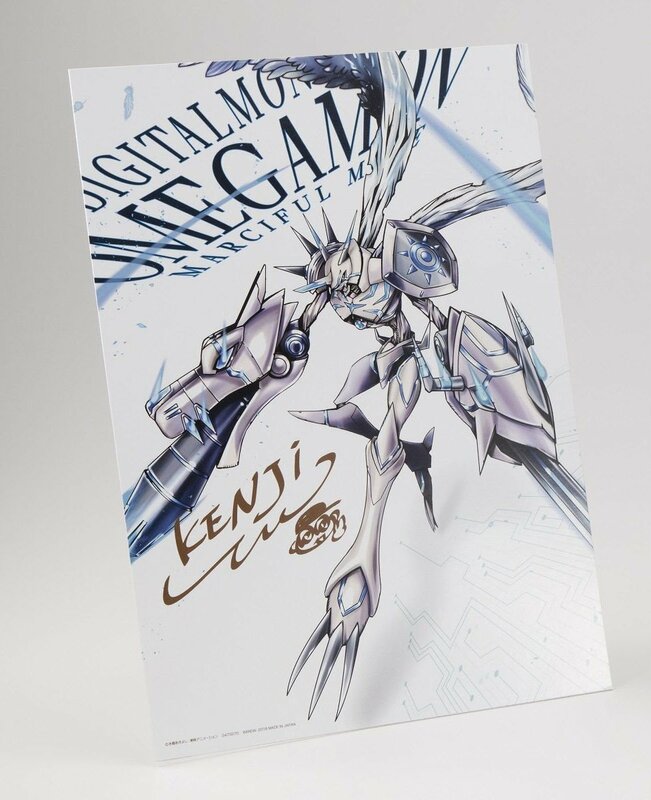 A duplicate of Kenji Watanabe's signature is on the board, and a stand is also included. 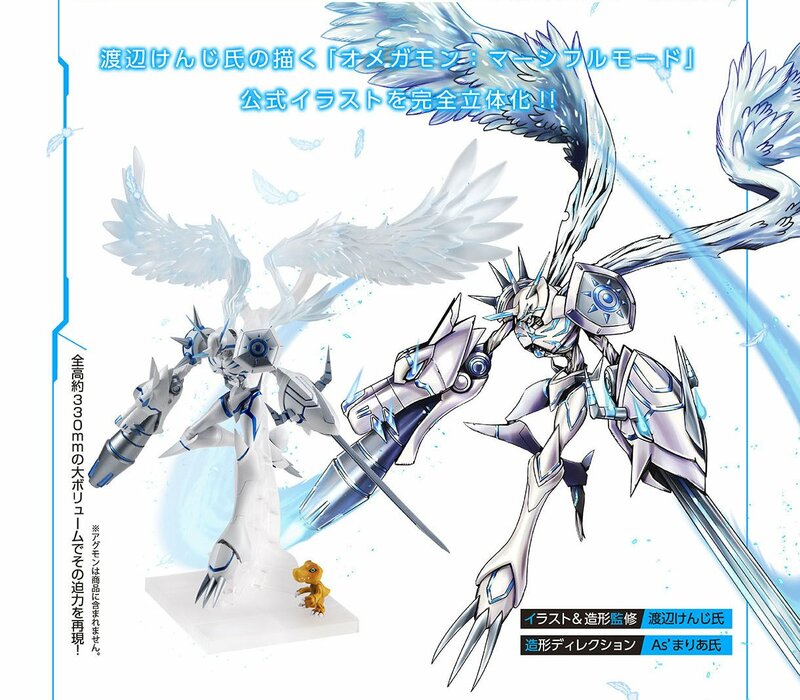 They plan to have an interview with Kenji Watanabe about this figure in the future on Gashapon Blog. 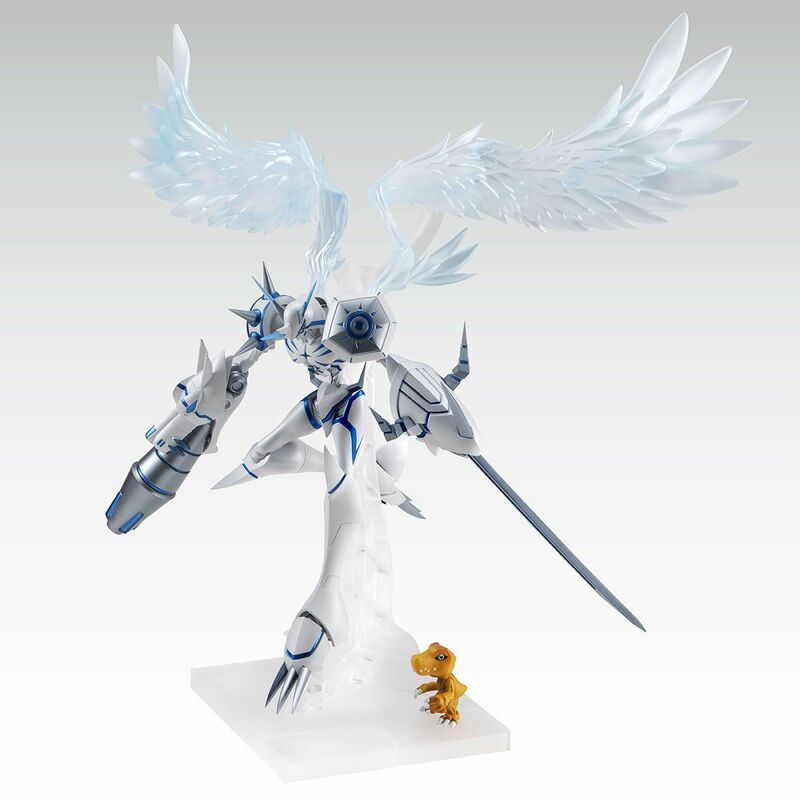 The Ultimate Image figure of Omegamon Merciful Mode will is up pre-order at Premium Bandai. 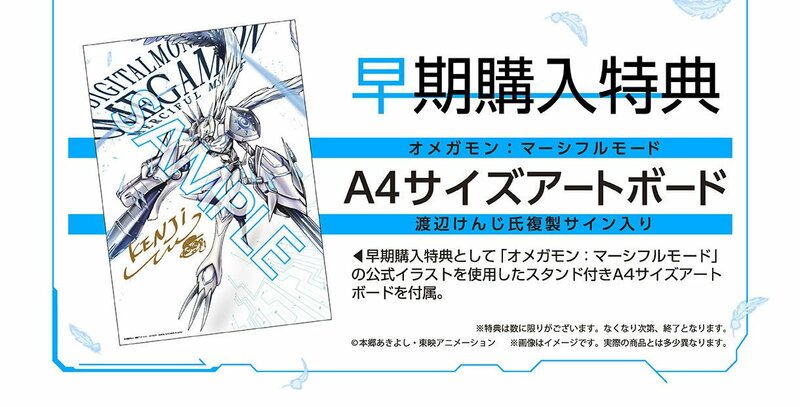 It's 6,500 yen and pre-orders close December 24th. It will ship in April 2019. Once they hit a certain number of orders, pre-orders will close, and then re-open when they can re-adjust for more stock. It is also always possible that Premium Bandai USA or another shop may open pre-orders, so if you don't care about the early purchase bonus, it may be worth waiting. Updated the article above since pre-orders are open. Very interesting. Nice of them to include the Agumon for scale, so this guy is pretty hefty. I'm still kind of on the fence about it because static figures don't really do anything for me, but I'll hand it to them, this is some amazing craftwork. If I see an Amazon link or something I might cave, but I'll hold off for now. 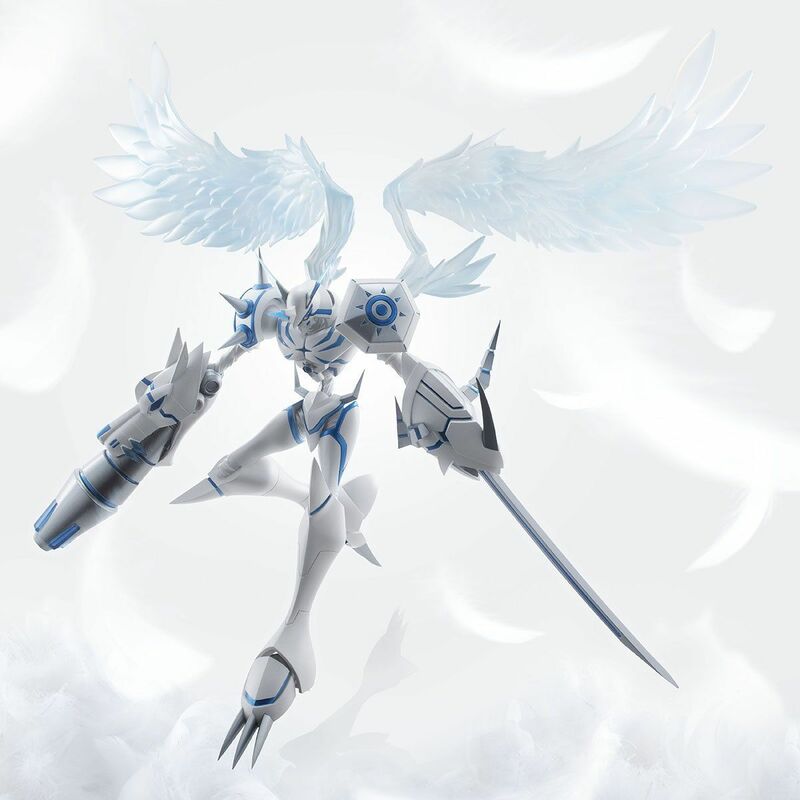 Oh man, imagine putting that on the LED stand that comes with the Angewomon Precious G.E.M. figure. I wonder how much this guy will cost without tax. I didn't really like him in Tri but I love this statue for some reason. That is a pretty cool figure. Really nicely done. ...A lighted stand would be awesome. 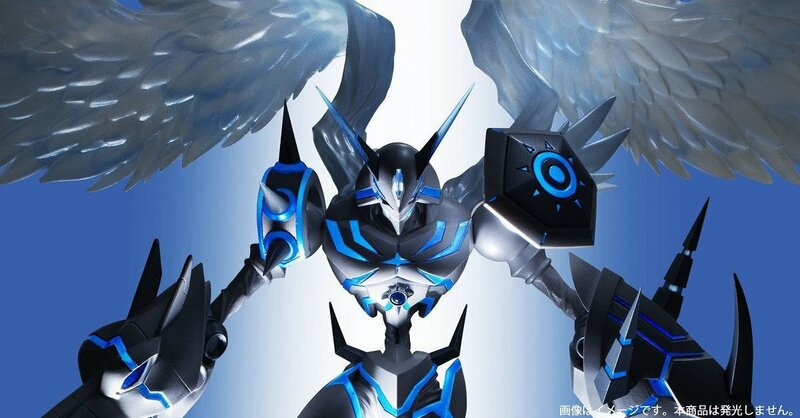 adventure tri., art figurations, digimon, figure, tri.